This driven, dedicated and hardworking performer was born June 22, 1983, in Dallas, Texas. Drama Tha King, born Brian Anderson began his career at the age of nineteen when he discovered the true meaning behind pen and paper. Drama started taking everyday life experiences and what he learned growing up over the years and put it on paper and then in the booth to record. Motivated, Drama was persistant about pursuing his dream of being a rapper and making his name known not only in the streets but to the world. Drama along with four close friends, formed a group called E.L.I.T.E which got him started in the rap business. In 2005 the group released an underground album, placed a few songs on Myspace and then began performing at local clubs. As a result, RL Productions Management Firm heard their music on Myspace, saw the group perform live and signed them to a manage contract in 2007. This situation would ultimately lead to the solo deal of Drama to RL Productions Management Firm in June of 2007. His personality and intelligence are almost too hard to perceive. 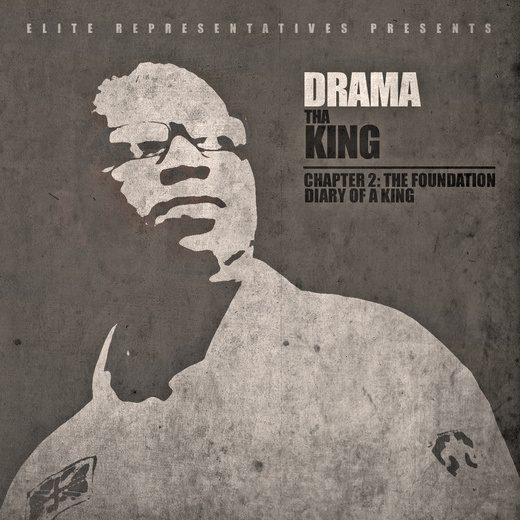 Drama acknowledges a number of influences, including his single parent mother, who he watched struggle to maintain a nice home and provide for the family. Drama also sites his friends from the underground group E.L.I.T.E as well as his woman and the mother of his 4- month- old son. Drama will take rap to a whole new level of entertainment and ambition with his sound and lyrics. Being hands on, co-producing beats and writing all of his material for his up coming album shows that he is real and what you hear from him is from the heart. Drama is not your typical rapper because his music is about life, reality and pain in his own words. With his own swagger, Drama’s soulful rap sound can be attributed to a variety of natural talents. Being huge fans of Jay-Z and Eminen helped mold him in knowing what direction he plans on going with his music. Through his music the listener hears his story, understand his life and learn him not only as an artist but an individual as well. Overcoming obstacles and making sure to keep positive and supportive people around him has kept Drama grounded and stable. Most rappers have a mentor who they look up to but Drama let it be known that, “music raised me and it keeps me motivated.” Definitely at a young age, a prosperous and ground breaking future in the music business looms ahead of him. This talented young man is charming, charismatic and a bona fide rap star.